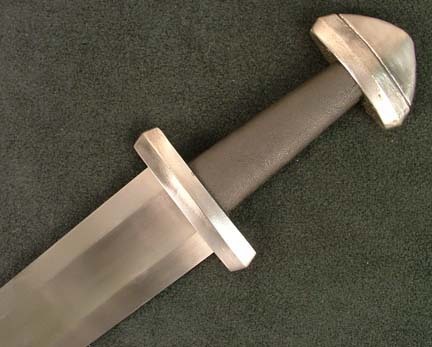 The hilt components are investment cast in mild steel from original waxes carved by Peter Johnsson, based on Peter's first-hand examination and documentation of period originals of this type. 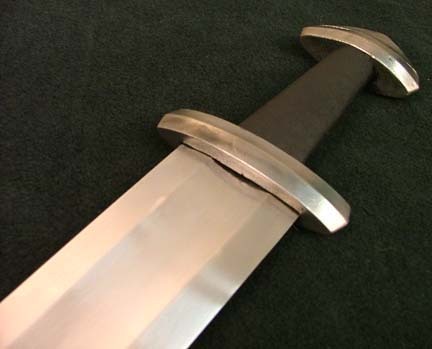 The components are tumbled to a satin finish. 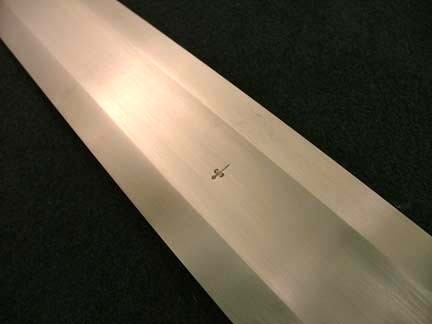 The blade is classified as a Geibig Type 4 (which some consider a sub-classification of the Oakeshott Type X), hand-ground from 1075 steel to a basic satin finish, heat-treated by hand in the Albion Forge Shop. ...Mike, I must say that you are a really great guy to do business with. Thanks for all the understanding and help. Well! 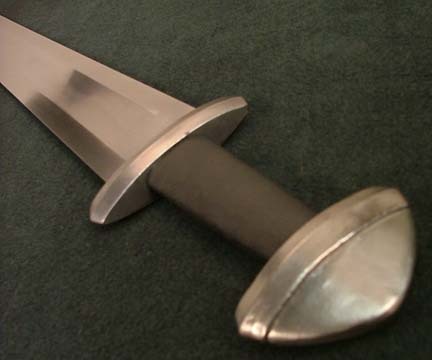 I must tell you that I had a hard week after I got my squire line Viking sword, almost could not sleep without thinking about it -- and if I didn't know better I'd have asked you: "Okay, guys, which museum have you stolen this one from?"